Every time a new technology is on the rise, everyone keeps asking the same question – is it secure? We live a time when everybody can be surveyed and wire-taps can be basically put on a whim so knowing what the secure protocols to use are is crucial, especially if you want to protect your data and privacy. Of course, nowadays you can’t be truly secluded – that’s the price we pay for living in the Information Age. However, there are a few things you can do in order to make it harder for people to get your information. Secure computer systems are a must, there is no denying it, especially if you want to protect your data, but you also need a shielded way to communicate with people. It is undeniably a well-known fact that one of the best ways to communicate today is through VoIP (voice over Internet protocol) yet the question of the structural integrity and security of the method still remains. How secure exactly is VoIP? If you think traditional telephony is secure enough for you, then you should have no trouble with VoIP which is at least as secure as what you’re used to. Of course, generally, every sort of system has its weakness – that’s just an unavoidable inherent quality of the system, itself. I guess when you’re trying to protect your corporate data, this doesn’t sound very convincing, but when you think about it, it actually means a lot. Using VoIP isn’t more dangerous than using any sort of IP transfers, although there is always a risk, but that risk can be mitigated. You are probably transmitting lots of information over the web, anyway, which means that you’re already taking those risks. If you’re going through considerable lengths to protect the data you are sending, then it’s safe to say that VoIP will not pose a bigger security threat. You can never be truly sure if someone is listening in on your conversation, but then again – you can’t be sure if you’re using traditional telephony, either. 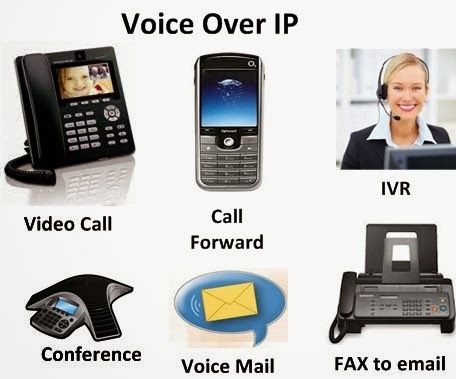 VoIP are most safely used in closed networks. If you run a company and you have an inner network, then connecting different divisions, for example, with VoIP would save you money and it wouldn’t be risky, unless you have spies in your midst, at which case someone eavesdropping on your conversations is the least of your worries. VoIP can connect two points of the network so people can directly communicate with each other without the possibility of anyone else accessing their conversation. This wasn’t the case a few years. Back then, the LAN availability wasn’t controlled by switches and everyone had access. Now, with the use of switches, you can easily connect two points of the network (or more if you wish) so you will get instant and secure communication. The only risk that lies here is if your network is unprotected, but then all your data will be available, so like I said – someone listening in on your conversations will be the least of your problems. Well, don’t expect that VoIP is going to be the most secure way of communication the world has ever seen. If man has found a way to communicate, man will find a way to intercept that communication. It’s as simple as that, however, as you can still take some measures to protect your data. VoIP is at least as secure as traditional telephony and can be made even more secure by taking the right measures. Bottom line is, if you’re trusting a network enough to transmit sensitive data through it, then using it for VoIP should be just fine for you, because it’s secure enough. Rose Finchley is passionate blogger keen on topics about Internet. She currently works as a technician at http://www.shinylondon.co.uk/end-of-tenancy-cleaning-nw1-somers-town/ and she has a lot of experience to share with the readers.